I must admit that I feel a bit awkward posting this project here, as it's not really set in the Wing Commander universe, but is heavily inspired by it. WC games have been among my favorites since childhood, and I've always dreamt of creating a game with similar combat mechanics, but one that would also include space exploration, fleet command, and other fun things. The link leads to the Windows build, but I can theoretically also build it for Linux and Mac if anyone is interested. I'm sharing these because I'd like to collect some feedback while the codebase is still relatively small and it's not difficult to make drastic changes. I plan on updating every two weeks, time-permitting. This is a hobby project, so no guarantees. Looks like a good start... are there any updates? Hi, thanks for checking it out. There's been one update where I merged both demos into a single application, made options screen accessible while in-game (with ESC key), wrote better instructions, and also fixed some bugs. 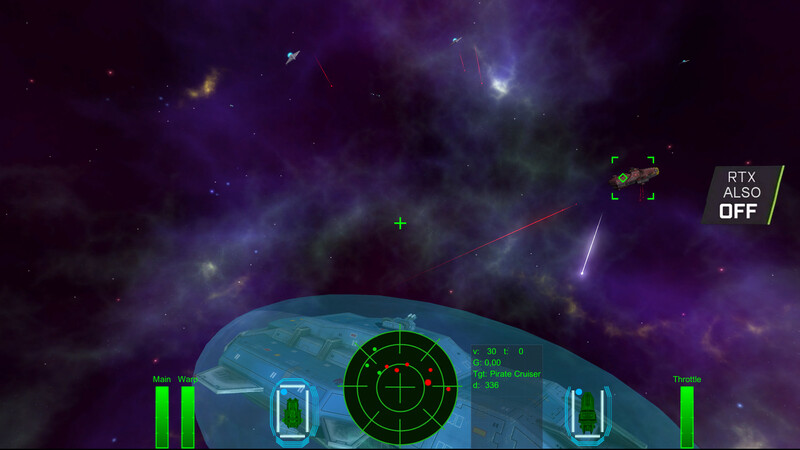 Currently I'm working on Demo 3, which is going to be about capital ship combat. I'm also considering some optional combat content for Demo 2, which is currently 100% peaceful mode. I'll update the first post with the new download link. Thanks again. Welcome to the Wing Commander community. Good to see that you are developing for fun and that you have plans! May I ask what 3d engine you are using? Sure, it's Unity. I've tried many different engines in the past, and this one is by far the easiest one to develop for. Though at times it appears to be slightly less flexible than I would like, I'm generally happy with this choice. Unity has the benefit of beginning the new game developer with a friendly and yet powerful environment. The latest versions have also covered some serious gaps on their embedded tools (UI, Particles etc.) and hopefully the nested prefabs will come to the light sooner or later. Quick suggestion. Gameplay wise, you should do some kind of a trick to give a better understanding of the movement, speed and direction. Maybe some old tricks like stars, debris, space garbage moving through the screen. Or if you want to give a more scifi satisfying solution some kind of hud indication (hud lines that will change vector, length and maybe colour). Yeah, the Editor is very impressive. As someone who cut his teeth on LWJGL and Irrlicht, I really appreciate having a GUI app than can help you with pretty much anything. Thanks for the suggestion. It might seem like a small thing, but I think it should really help with motion awareness. I went with semi-realistic flight physics, as in, there is no drag force to slow you down. Instead there are "attitude thrusters" that constantly correct your velocity vector to match your heading. They can also counteract external forces like gravity, and when given no input, they will always bring you to a stop with respect to your reference body. Has anyone finished Demo 2 yet? I'm really concerned about how the camera should work for capital ships. As a player, I'd like to have a good view of my own ship to see which of my turrets are in range of my targets, and which ones they are firing at. I'd also like to have possibility to look around easily, so that I can spot threats before they attack me. Demo 2 camera fulfills these goals more or less, but is a bit inconvenient, and becomes really horrible when your ship is moving vertically. Hi, it's been a while. Released today, Revision 4 adds random pirate attacks to the Exploration Demo. Your ship has been fitted with an automated turret to defend against this new threat. There are also some minor features and fixes, including motion-awareness-increasing particles that Maslas suggested. 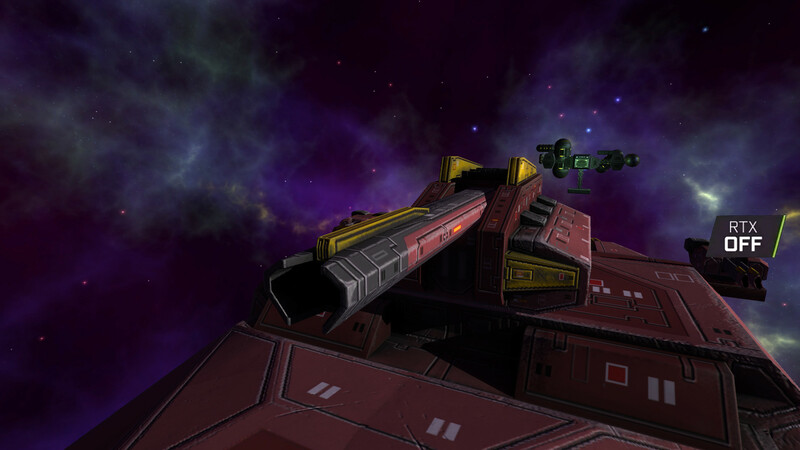 With basic capital ship combat more or less working, I'm now going to focus on reworking Tech Demo 2 to be less boring. Missiles and subsystem targeting are also badly needed.